What Is the Shotcrete Application Process? Posted December 15, 2015 by - filed under Foundation Repair. Shotcrete is a process where concrete is pneumatically applied to a vertical or horizontal surface through a hose. Shotcrete is great for adhering to irregular structures and creating stable vertical walls. 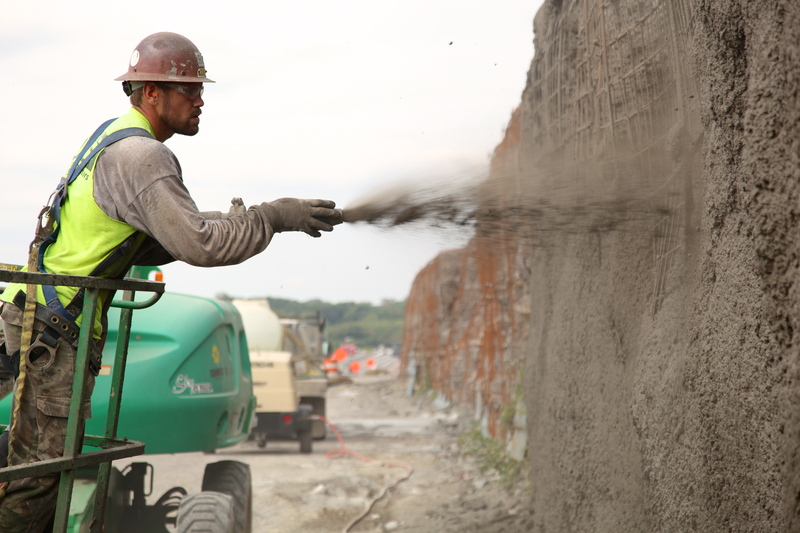 Curious about the shotcrete application process or want to know more about shotcrete? Watch a video of our crews applying shotcrete at a job site near Mt. Juliet, on I-40.